Need to liven-up the corporate training experience? Sometimes all it takes are a few simple adjustments to make it fun and engaging! The world of academia has so many useful methods to get students engaged and interested in learning content—why not apply the same to corporate training? How do your employees feel about corporate training? Do you think they like sitting through several hours of lectures accompanied by humdrum slides and quizzes? Corporate training has an overall sour reputation for a reason and it’s easy to see why so many people dread the mere mention of “employee development”. But what if it didn’t have to be that way? What if a few tweaks could help make it a more enjoyable experience for them? 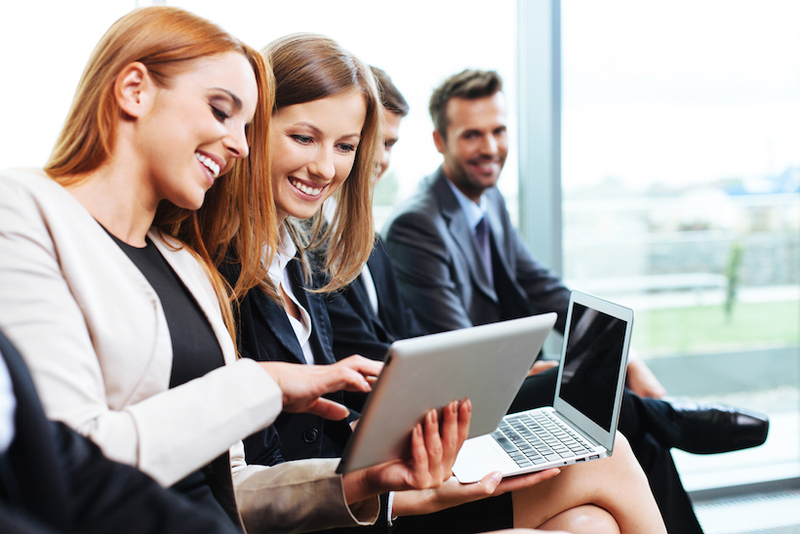 How can you motivate your employees toward corporate training? Let me tell you a little bit about myself. I run an eLearning business and teach college-level computer science courses. Having worked closely with corporate training departments to design and build eLearning platforms, I’ve observed the tactics used to create an engaging learning experience for employees. As a college instructor -both online and in classrooms-, I’ve also learned what it means to engage my students and keep them motivated. While training a roomful of employees may be different from teaching a class of college students, there are several methods training departments can glean from the world of academia. If applied correctly, the techniques used by teachers can help revamp the corporate training experience and get employees excited about learning. So here are a few of my tips. I strongly believe that learning together makes students more successful. According to Carnegie Mellon University, students are more motivated and productive when they study in groups rather than individually. In my classes, I usually assign students together for group exercises; it’s exciting to see them support one another and bring out their strengths. It takes them outside of their own “internal dialogue” during solitary learning and into a setting that challenges their thinking and views in new ways. Putting employees in groups is not typically practiced by training departments. In fact, most employees complete their training independently, rather than in a team setting. But if studies show that students learn well in groups, why not give your employees the same opportunity? Being on teams provides collaborative learning opportunities and increases motivation. Some of the greatest innovations materialize out of a place by discovery rather than an environment of being told what or how to learn. By providing opportunity for hands-on projects, learners are given permission to explore and test, rather than just memorize. I can attest that this method has helped extract some of the most creative work from my students. Find out what your workers are passionate about and incorporate it into their training. Bring out their unique creativity! For instance, if you run a fast food chain and need to figure out the best way to grill a chicken, assign your employees the task of determining their own instructional process for it. You might be surprised with what they come up with. Video has become an integral part of modern-day learning. From do-it-yourself YouTube videos to documentaries and tutorials, people love to learn auditorily and visually. Whether some or all of your employee’s training is done online, make sure to include video and/or audio for a rich learning experience. Another plus is that it gives learners the control to pause, rewind and fast forward in their own time and at their own pace. And if they didn’t understand something the first time around, they can go back and watch/ listen to it again. It’s important that all learners have welcome opportunity to bring out their views and understanding of a topic, which is why I make it a point to encourage my students to participate in discussions. While we might normally think of class discussions in an in-person context, it also applies to online learning. eLearning training platforms typically provide virtual forums and boards for employees to post questions and comments. It is said that the definition of insanity is doing the same thing repeatedly while expecting different results. If it’s been awhile since you’ve revamped your employees’ corporate training experience, now may be the time to do it. You might be surprised the difference that a few simple step can makes in your employees’ learning experience.